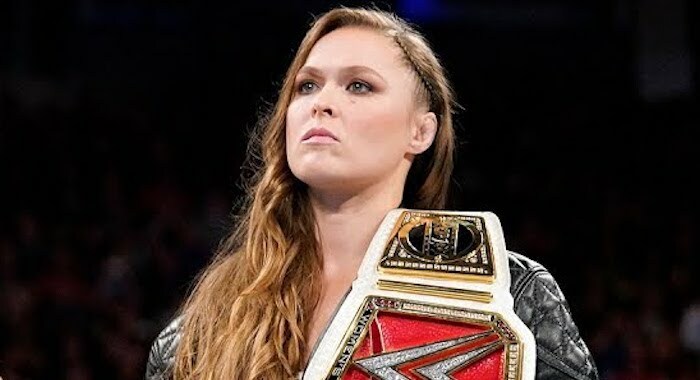 Raw Women’s Champion, Ronda Rousey has finally responded to WWE’s fine following her actions last week on WWE Raw when she struck an official. WWE had fined Rousey following her decision to slap a WWE official after her attack on Dana Brooke but didn’t disclose the amount. However, the former UFC star replied by saying that she can afford it and the slap was worth it. Speaking of Brooke, Rousey will defend her Women’s Championship against her tonight on WWE Raw, and at a recent live event, Rousey gave her thoughts on the upcoming match. Ronda slammed Brooke for just “being a gymnast,” whilst claiming that she is a natural born killer, adding that people will feel uncomfortable with it when they see what she can do.